Celeriac harvest on a lovely fall day. This is the final box of our regular season. Thank you Tipi members! We truly appreciate your commitment to our farm. We could not farm without you. Many of you have signed up for continued deliveries with our extension and storage shares. We will be in touch with more information as those deliveries approach. We will open registration for our 2017 season within a few weeks. Watch for emails from us. In the meantime, you can continue eating our produce through the winter. Our stored cabbage, carrots and other roots will be on the shelves at these stores: Willy Street Coop (Madison, Middleton), Outpost Natural Foods (Mequon and Milwaukee area), Basics Coop (Janesville), Whole Foods (Madison only), Good Harvest Market (Pewaukee), and Health Hut (Brookfield). How was the season? Our thoughts. It has been a challenging year for us but you probably did not notice. It was a good year to test our version of CSA (Community Supported Agriculture). In the classic CSA model, you as members, would share in the risks of the farm. We operate a little differently. More than half the crops we grow are intended for our store customers but are available to the CSA as needed, providing a reliable buffer in a poor season. We dipped into that reservoir this year to make sure you got your expected value of good produce. For example, beets, summer carrots, and leeks all had smaller harvests than expected so we put them all into your CSA boxes. We were glad to have that supply at hand. It was an unusually long growing season, with a record-early start. We were in the fields planting radishes and spinach in mid-March. The season extended with a mild fall, allowing us to harvest peppers right up to this week. Humid, rainy days in August and September did not do us any favors. The greatest effect was on our fall crops, then in their adolescent phase. This is why we grow 40 different crops. Each year, something will do poorly but something else will do well and take its place. That’s the nature of a mixed vegetable farm like ours. It was a good year for peppers and watermelons. The greens and most summer crops thrived. The sweet potatoes are terrific. The cauliflower and Romanesco were late to produce heads but we are thrilled with how much we’ve had to harvest recently. Our work crew was wonderful this year, both newcomers and old hands. They were a joy to work with: smart, diligent, thoughtful, and kind to each other. Our field work will continue for another three weeks, as we bring in cabbage, carrots and other roots to store and sell through the winter. It’s always a big effort, so we are preparing mentally and physically. Steve has run through his checklist. The carrot harvester is ready to go, with new modifications. The wooden storage bins are all in good shape. Steve and Roger are tightening up the coolers for winter. We expect to have all the crops out of the field by mid-November. Then we can slow down for a few months. Our crew drops from 25 people down to five. That’s enough people to prepare and deliver our winter crops. In December and January we will mull over our 2017 plans so we can order seed. Greenhouse work begins by early March, and everything flows from there. Soon we will wrap up our time as the Organic Farmers of the Year. It has been a very special year for us. Thank you again for your patronage. We are already envisioning changes and progress for next year. Join in and give us your feedback. How was the season? YOUR thoughts. Now it’s your turn to share your thoughts. Please complete our annual survey. I sent the link in our 10/27/16 email, and look forward to poring over the results. This is an essential part of the CSA model – we need to hear from you to make the CSA work for you. We kept ourselves busy with farm maintenance, in anticipation of our big upcoming harvests. Our beautiful barn, before and after painting. Roger completed the project in a day and half, with helpers, a lift, harnesses and an extended handle on his paint sprayer. We almost made it to the roof peak. The top gap will have to wait until a friend’s taller lift is available. Roger in the cage, with Billy steering. Most sites get cauliflower (white or orange or purple) but we might pair it with Romanesco broccoli for some sites. Sweet potatoes – These are the Covington variety. This is an especially tasty batch. Let’s repeat my newsletter information from a few weeks ago. Brussels sprouts – The B-sprouts have taken their time sizing up. Sprouts are small. I’ve given you our usual cooking instructions below, but recognize that all of this week’s sprouts are small. Baby ginger – Wrap in a damp cloth or paper towel, and keep in the refrigerator in a plastic bag. Eat soon; baby ginger is perishable. It bruises easily so we gave it a light washing, and figured you could do the fine washing when you use it. Everyone gets one knob of baby ginger. In a large stock pot or Dutch oven, melt butter. Add carrots, onion, celeriac, jalapeno and ginger. Saute for 5 minutes until fragrant. Add turmeric and salt and saute 5 minutes longer. Add rice. Stir for about a minute to combine rice and toast it gently. Add chicken broth, bring mixture to a boil and reduce to a simmer. Simmer until rice is cooked, about 15 minutes. Add coconut milk, kale and fish sauce. Simmer gently until kale is wilted, about 5 minutes. Preheat oven to 400 degrees and chop vegetables while you wait. Toss sweet potatoes and brussels sprouts with olive oil and spices in a large bowl to coat. Pour out onto a rimmed baking sheet. Roast for 40-45 minutes rotating occasionally. While the sweet potatoes and brussels sprouts roast, prepare the slaw. Combine all ingredients in a large bowl. To serve, top warm tortillas with a spoonful or two of sour cream. Add avocado, followed by warm roasted vegetables and cabbage slaw. Add hot sauce if desired. Enjoy! Our regular CSA season is almost over. Let’s review the final three deliveries. Additional deliveries are available for those who have signed up for our Extension or Storage shares. Look for an email from us earlier tonight with instructions to register. It is likely to frost tonight. Run out and cover your garden plants, if you are still hanging on to something precious. I covered a beautiful dahlia that I can’t let go yet. We are protecting one pepper field with row cover, so we can continue harvesting for a few more weeks. Everything else is either already harvested (sweet potatoes, squash) or can handle substantial freezing (broccoli, kale, cauliflower, root crops, etc.) Brussels sprouts will even improve with frost. MOSA inspector Dan Marten and Steve review farm records at our kitchen table. We had our organic inspection this week. It’s an annual step in maintaining our farm’s organic certification. Four hours of reviewing records indoors, on a beautiful sunny warm day. We passed with flying colors. The inspection is always interesting because it gives us on-the-ground insight into how other farms in Wisconsin are faring. Our inspector Dan Marten has visited vegetable farms all over the state. He reports it was a difficult season in most regions. Most got too much rain but some didn’t get enough. Like he said, “We didn’t get many gentle, overnight rains.” Seems like everyone got pounding deluges instead. A few more gleaning photos. I was taken with the mud boots everyone wore to our gleaning party. Here are a few beauties. You folks are so stylish! We paired the napa cabbage with cilantro, scallions and jalapeños because they combine well in many Asian recipes. Temperatures are predicted to swing wildly this week. You can make a warm cooked dish with half your napa cabbage, then a cold salad once temperatures hit the mid-70’s again. Roast your butternut squash with a pan of oiled carrots and onions to warm the house. Then grill your peppers outside once it warms up. Some sites get cauliflower (white or purple or orange). Some sites get Yukina greens. If your squash or Romanesco is small, we’ll toss in an extra pepper or a sweet potato. Napa cabbage (large, pale green cabbage with crinkled leaves) – This is an interesting vegetable, useful for both fresh, raw salads and for cooking. These napa are large enough to split among several recipes. Napa’s most famous use is fermented kimchi. I like to prepare a fresh, unfermented kimchi. Same seasonings, but it’s ready to eat right away. You will be amazed at how much shredded napa cabbage shrinks when prepared this way. See here for an example, but cut the salt in half: Grilled Flank Steak with Kimchi-style Coleslaw. Romano beans – This is the final delivery of beans for the year. Quality is very nice. The beans are big but juicy and tender. We never thought we’d have this many to send in mid-October! Jalapeño chile, HOT (small, green or red) – These are quite hot. As usual, remove the seeds and midveins to reduce their heat. Cilantro – Well, it has taken us forever to get cilantro in the box again. We seeded repeatedly but none of the plantings work out. Except this one. Cauliflower – We grow cauliflower in a variety of colors; white, purple and orange. Garlic – This batch is from our friend John Hendrickson. Butternut squash – This is our “Metro” variety, a favorite because it cures and sweetens quickly after harvest. These are medium-sized squash, average weight ~2.0 lb. Hint for cutting winter squash: If you want to peel or dice your butternut squash, microwave the intact squash on high for one minute. That will warm and soften the squash, making it much easier to peel or cut. I find this trick useful even when just cutting the butternut in half. Storage: Store at room temperature. On your kitchen counter is perfect. Almost all of this week’s butternut squash have flaws, another legacy of the wet weather. The flaws are small enough to either peel away or cut around. We debated whether to pack them in the CSA boxes – I don’t usually send flawed squash. However, it was a choice between composting them (and having no squash for you this week) or sending them to you to enjoy, albeit with trimming. We hope you agree. Don’t try to hold these for long. Find the flaw and cut it out before cooking. It’s more difficult to recognize after cooking. Check around the stem. I wish I could take credit for these cabbage rolls but alas I cannot. One of my favorite Madison bloggers- Vicky from Things I Made Today– whipped these up on a tired Sunday night after an exhausting day of housework and cooking. She didn’t expect them to be anything special and boy was she wrong! Something about napa cabbage, scallions, carrots, cilantro and hoison sauce is just magical. I love this dish endlessly and know you will to! In a medium sauce pan, combine rice, water and salt. Bring to a boil, stir and reduce heat to low. Cover and simmer for 18 minutes. Remove from heat after 18 minutes (but don’t remove the lid!) and let sit for 5 minutes. While the rice cooks, heat oil in a large skillet over medium heat. Add mushroom along with garlic and ginger. Saute for 10 minutes until mushrooms are tender but not mushy. In a large bowl, combine cooked mushrooms, pork, cooked rice, carrots, scallions, cilantro, red pepper flakes, soy sauce and rice wine vinegar. Use your hands to combine. Lay a cabbage leaf flat on a baking sheet. Scoop 3-6 tablespoons of mushroom mixture into middle of leaf. Roll up leaf (tucking in sides if there’s extra leaf) and then place roll, seam side down, on baking sheet. Continue with remaining leaves. In a small bowl, combine hoison sauce, peanut butter and water. Brush the sauce over the cabbage rolls. Bake for 35-40 minutes until pork is cooked through. You don’t have to have the pulled pork if you are vegetarian. I suggest doubling the butternut squash if you decide not to do the pork. If you are making the dough from scratch, begin here. If not, skip to step 2. Combine warm water (but not hot!) with yeast and honey in a small bowl or measuring cup. Whisk to combine and let sit for 5 minutes. Combine flour and salt together in a large bowl. Make a well in the center of the flour mixture and pour in water with yeast. Stir to combine but do not work the dough at all, just stir until all the ingredients are incorporated together. Let dough rest for 15 minutes. Turn out onto a well-floured counter and knead for 3-5 minutes until smooth and uniform dough forms. Grease or oil a large clean bowl. Add dough, cover with plastic wrap or a towel and let rest in a warm place for an hour or until dough has doubled in size. Combine butternut squash, olive oil, salt and pepper in a small bowl to evenly coat. Add to a large baking sheet and bake for 30 minutes. Once finished remove from oven and add back to small bowl. Set aside. Preheat oven to 525 degrees. Once dough is risen. Roll it out on a well-floured counter until it’s about the size of the baking sheet you used for roasting the squash. Transfer the dough to the baking sheet. Top dough with BBQ sauce leaving an inch border on all the edges. Add pork followed by butternut squash, peppers, onions and smoked cheddar. Bake for 20 minutes until the crust is golden brown and the cheese is bubbly. As we plan each CSA box, we look for logical combinations. I’d like to share our thought process in designing this week’s box. I think it will help you cook and enjoy the produce. Potatoes and leeks are an obvious choice to send together so you can make potato-leek soup, or warm the house with a potato-leek casserole. Check out Lauren’s recipe below for Potato and Leek Fritters. It’s a twist on the classic combo and sounds like perfect comfort food to me. The Zavory chiles have excellent flavor with minimal heat, and will work well with the potatoes. Parsley combines well with almost everything in the box; beans, potatoes, peppers. You may have noticed (and wondered) why we have sent so many frying peppers this year. They have consistently been the best quality peppers on the farm this season, and very delicious, so we’ve sent them multiple times. In summer, we fill the boxes with what the farm offers. There’s a steady supply of tomatoes, peppers, melons, zucchini, sweet corn, etc. We pack a member of the onion family in every box because they are essential in cooking. Then we choose a mix of items that can be eaten raw versus cooked, to make the box easy to use. If a vegetable is unstoppable in the field (tomatoes!) then it is in every box. If it’s not (fennel) we pack it with the vegetables we think it combines best with (tomatoes, garlic). In fall, we can be more strategic. For example, we plan to alternate starchy vegetables in the upcoming boxes, from potatoes to sweet potatoes to winter squash. Then we add at least one brassica (broccoli, Romanesco, cauliflower, cabbage) as well as some type of greens (kale, bok choy, napa cabbage) plus alliums (onions, leeks, garlic). Then we fill in with all the other special things of the season, items like scallions, celeriac, parsnips and winter radishes. In summer, the boxes are driven more by volume, by the limits of what we can fit in the box. In fall, there are as many items (and as much weight) but less fluff, so the boxes are not as full and are simpler to pack. Here’s what I plan to cook this week. The weather has cooled so we will turn on our oven and roast a pan of potatoes, onions and garlic, using our favorite (and adaptable) recipe for roasted veggies. We’ve already prepared many of our favorite pepper recipes this summer, so I plan to make a sauce with roasted peppers and onions, parsley, Zavory chiles and garlic. In a household of ‘diverse’ eaters, it helps to have a sauce on the side to enliven oven-roasted potatoes or steamed beans. Even if you dress your steamed beans in a light vinaigrette, adding roasted pepper sauce at the table is a nice boost. I’m intrigued with this roasted carrot harissa recipe, and will adapt it to extend my roasted pepper sauce. You will notice that no one is wearing mosquito nets in the photos below. The mosquitos have abated, freeing us from our net suits. We continue to work around the rainy weather. We accomplished a lot in the fields on Monday and Tuesday so we could focus on indoor jobs when it rained on Wednesday. Butternut harvest is complete. From right, Charlotte and Lizzy load squash onto the harvest conveyor belt we take to the field. On the wagon, Jory, Karen and Madeleine pack and organize the squash. The butternuts are curing in our warm, dry greenhouse. Steve, Ari and I harvested carrots during a dry spell over the weekend. Carrot harvests will continue into November. We hosted beet trials this summer for UW graduate student Solveig Hanson (at left in photo). Solveig is breeding beets for specific flavor and color profiles. She returned to the farm this week for us to sample and evaluate her breeding lines. The range of flavors is quite interesting. As a group, we are a mix of beet-lovers, beet-haters and beet-ambivalent types. Almost everyone found a breeding line they found appealing. You will have a chance to sample Solveig’s beet lines at our gleaning party. Stop by her table. Next week’s box will probably contain sweet potatoes, bok choy, scallions, peppers, broccoli, edamame soybeans, and more. Satina potatoes – These pale yellow potatoes are from our friends out at Driftless Organics. Satinas are an all-purpose potato with thin skin and smooth flesh. We oven-roasted a batch and they browned perfectly. ‘Zavory’ habaneros (small, orange or red) – These habaneros are NOT HOT. Almost all the spice has been bred out of them, leaving mild heat in the seeds. Now we can all learn what habaneros actually taste like. The blazing heat always got in the way, as normal habaneros are about 200,000 Scoville units. Lo-and-behold, these Zavory chiles have great, fruity flavor, really interesting. You should still approach them with caution. We’ve found rare off-types mixed in, but very infrequently, and not with the full heat of a normal habanero. As always, remove the seeds if you want to reduce the risk of spiciness. 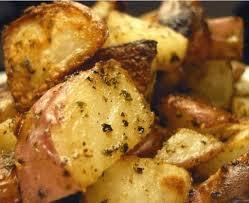 Place potatoes and 1 teaspoon Kosher salt in a large pot. Cover with water and bring to a boil over high heat. Once boiling for 15 minutes, drain water and mash potatoes. Stir in butter and milk until thick and creamy. Add additional milk if needed to thin. Measure out 1-1/2 cups for the fritters. Save the rest for another use. Combine mashed potatoes, leeks, peppers, parsley, eggs, breadcrumbs, remaining salt and ground pepper in a large bowl. Stir until smooth. The mixture will be loose and wet, but this is just fine! Heat oils in a large skillet over medium-high heat until very hot but not smoking. Drop spoonfuls of the potato mixture into the hot pan in two tablespoons piles being careful not to crowd the fritters. Flip once browned (2-3 minutes) and then press down with a spatula to flatten. Remove from the pan once both sides are browned and gently move to a paper towel. They will still be quite delicate. Keep the first batch in the oven at 200 degrees if you like while you prepare the rest. 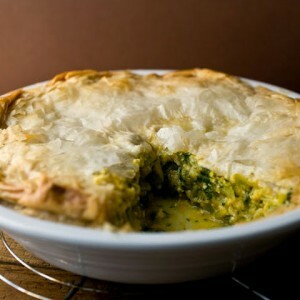 Serve warm with sour cream and some additional chopped parsley. To prepare the broccoli, cut off the florets and roughly chop into bite-size pieces. Take the broccoli stems and cut into small matchsticks. Once the water is boiling, add just the broccoli florets (not the stems) and blanche for 3 minutes then strain and rinse under cold water. Combine buttermilk, mayonnaise, cider vinegar, and sugar in a large bowl. Whisk until smooth. Add broccoli, broccoli stems, peppers, yellow onions and cranberries to bowl and stir with a spatula until dressing coats salad. Steve pulls up a beautiful hill of sweet potatoes. Steve undercuts the rows to lift the roots to the surface, then we pick them up by hand. It’s not a fancy method but gets the job done. We dug our first sweet potato harvest last Friday. This is a preliminary harvest, enough for one CSA delivery. The roots are curing in a hot, steamy room, and will be ready in a week or two. Based on this early sampling, looks to be a good sweet potato year. This surprised us, considering how rainy it’s been. Sweet potatoes grow well in dry, thin soils and (supposedly) dislike wet soil. We did not find any rot as we dug on Friday, which was a relief. If the rest of the fields are as good, we might have enough sweet potatoes for an extra delivery. Sweet potatoes and winter squash seem to cycle opposite each other. If one crop does poorly, then the other does well. Overall, this is a middling winter squash year. The butternuts look as sturdy and prolific as usual but other types like delicata and acorn squash did not do well. They got really close to harvest, then rotted before ripening. Chalk it up to the wet year. Winter squash is one of “my” crops so I gnashed my teeth a lot as the plants went downhill. However, it was an excellent year to test new varieties! If a variety thrived and produced tasty squash, then it’s probably a keeper. We will send the most promising types to a few sites this week. We’d love to hear what you think of them. Follow the link in the newsletter to give us your feedback. I have mentioned the wet weather frequently this summer but we remain grateful that the spring weather was dry. Our biggest problem now is that weeds are overtaking our farm. Steve and Jeremy cultivated repeatedly but the weeds re-root each time it rains. I’ve talked with a few farmer friends over the past weeks and all expressed impatience to get this season finished. We’ve heard difficult stories from friends in western Wisconsin and Minnesota where it has rained all season. Here’s a piece written by a farmer friend struggling to grow vegetables in Minnesota, and wondering if our climate is suited to vegetable production at all. The highlight of our week was our annual trip to the Willy Street parade. As usual, we were fueled by our crew’s enthusiasm and creativity. Maggie printed a new Tipi t-shirt, based on Karen’s artwork. It is so lovely. We handed out Oranos peppers and Romano beans. The peppers got a much more enthusiastic response! Karen, Charlotte, Maggie, Ken (Tipi alumnus) and Charlotte’s daughter prepare for the parade. Maggie loaded her new pedi-cab with flowers to toss to the crowd. James hands out beans, wearing a mosquito net. They are our uniform these days. James, Charlotte, Jory, Kelsie, Jim and Madeleine. Our tallest fan enjoys a pepper. The parade crew assembled. It’s not the entire Tipi crew but was a good turnout. Hey folks, we were going to pack a few final plum tomatoes in this week but decided against it. They just weren’t good enough. Some sites get a small winter squash. Some sites get larger portions of cabbage &/or broccoli. Some sites get an extra bell pepper or two. Next week’s box will probably contain potatoes, leeks, broccoli, carrots, peppers and more. Leeks (look like big scallions) – These alliums have a milder flavor than onions. Nonetheless, they can be used in recipes that call for onions. To wash, split the leek lengthwise, from the green tops about halfway to the base, leaving the base intact. Rinse well under running water, separating the layers to flush. If necessary, split the leek further if soil has penetrated more than halfway down the leek. Shake dry. Leeks are generally eaten cooked. They can be sauteed, steamed or roasted. Intact leeks will store 2 to 3 weeks if covered loosely and refrigerated. The outer leaves will yellow. Just peel them off and discard. The inner leek layers will be fine. Lacinato (dark green) or red kale – The kale needs to be fully cooked until tender. It is not tender enough for light wilting or a rubbed salad. Frying peppers – Good grief, the frying peppers are abundant right now. We’ve sent enough this time for you to make a batch of stuffed peppers. These peppers are very ripe. They are full-flavored but will not store for long. Plum tomatoes – We’ve sent just a few last tomatoes. It’s hard to let go. Use for cooking rather than fresh use – it’s that time of year. Basil – This is the last basil for the year. Winter squash – Some sites will receive a small winter squash. Many are new varieties we tried for the first time this year. Much of the interesting breeding work for flavor has focussed on small single-portion squash so these are small varieties. Most types are on the delicata to acorn spectrum. That means … (1) they are ripe and ready to eat, and (2) these are not designed for storage. Eat soon. Preparation: Winter squash are easily roasted in a 400F oven. Split in half with a sharp knife. Scoop out and discard seeds. Run the squash under running water, shake off the excess and place cavity-side-down on a baking sheet. The little bit of moisture helps seal the squash to your roasting pan. The water soon evaporates, allowing the squash to brown and caramelize. Roast at 400F until easily pierced with a fork, 20 – 40 minutes depending on size. To make squash easier to cut, microwave on high from 30 seconds to a minute, depending on the size of the squash, soften the rind and flesh. I use a combination of butter and oil because I love the way butter tastes in soup when cooked low and slow with veggies for a while, but if you are vegan, feel free to use all olive oil. It really won’t impact the flavor much. Also,† you can use a tablespoon of any curry powder you have laying around. We have these really nice hot and sweet variations from The Spice House and have discovered the perfect ratio of each to yield a sweet soup with a subtle degree of heat. Add butter and oil to a large stock pot. Melt butter over medium-low heat. Add the leeks and garlic as well as a sprinkling of salt and pepper. Cook until leeks are translucent and fragrant, about 10 minutes. Add the carrots and hot sauce and turn the heat up to medium. Cook for 20 minutes, stirring occasionally. Add the spices, coconut milk and stock. Bring to a boil, reduce to a simmer and cook for 30 minutes until carrots are tender and liquid is nicely reduced. Let cool and puree with an immersion blender. We don’t puree until completely smooth. We like some small chunks of carrot in there, but that is up to you. Taste and adjust seasoning. Top with chickpeas if you are feeling extra fun! Preheat oven to 400 degrees. Toss chickpeas with oil, cumin, salt and pepper. I use 1 teaspoon of salt if I’m making these chickpeas for my carrot soup (because it’s already a little salty) and 2 teaspoons of salt if I’m making these chickpeas as a non-soup-addition, generally-delicious snack. Roast for 20 minutes or until crunchy. Take out the pan and shake it occasionally for more even crisping. Cook soba noodles according to package directions. Drain and rinse with cold water for about a minute to cool the noodles and stop the cooking process. Place in a large bowl and drizzle with 1/2 tablespoon sesame oil. Put in fridge until ready to use. Heat remaining sesame oil in a large frying pan over high heat. Add spring, season with a good amount of salt and pepper. Saute 60-90 seconds until shrimp is opaque and begins to curl. Remove from skillet and allow to cool. Stir together all dressing ingredients in a small bowl until smooth. Add hot water if it’s too thick. Cut off broccoli florets and roughly chop into bite-size pieces. Save stem and cut into small matchsticks (similar size to carrots). Add broccoli along with cabbage, peppers, carrots and shrimp to noodle bowl. Add dressing and toss to coat. Return to fridge for at least 30 minutes to cool and let flavors come together. Add onion, peanuts, and basil just before serving. Adrienne Shelton and Paul Betz with a tub of winter squash samples I gathered to discuss with Paul. We snagged a morning farm visit with two interesting people from seed companies. Adrienne Shelton is a plant breeder for Vitalis Seeds and Paul Betz works for High Mowing Seeds of Vermont. We buy from both companies, as well as from other companies specializing in organic seeds. Adrienne and Paul were in Wisconsin to attend the Organic Vegetable Research Showcase hosted by UW-Madison. Adrienne came to our farm to visit the trials we planted with her basil breeding lines. She is selecting for resistance to basil downy mildew, our most difficult basil disease. We’re glad to evaluate her lines under our conditions. She has some lines with good resistance. The more difficult issue is developing basil varieties that are both disease resistance and taste good. Paul has run his own farm in Vermont for many years and is a fountain of knowledge about winter squash, my favorite crop. I was glad to swap notes with Paul about varieties and growing practices. (I think Steve is a little sick of talking with me about winter squash.) Paul and I found that we like many of the same varieties, despite our different growing environments. He had a few interesting suggestions that we will try next year. I was glad to walk our fields with Paul to get his insight about harvesting a few of the varieties we buy from High Mowing. We planted Adrienne’s lines in the midst of our third and fourth basil plantings. Her company developed the disease-tolerant variety that we rely on in summer, called ‘Eleonora’. Some of her lines show improvement over Eleonora but there’s still work to be done with regard to flavor. Summer crops are giving way to fall crops. This delivery contains the last melons and cucumbers. This is the last burst of tomatoes. By next week, we’ll pack just a few in each box. Other summer crops will continue (beans, peppers) but now we are looking ahead to our fall crops. Steve began sampling from the sweet potato fields. If the weather forecast holds, we’ll get the first roots out within a week so they can start curing. Steve digs a few sweet potato plants from our mysterious field. The vines look terrific but that doesn’t tell us much about what is happening underground. Here are the tubers from five plants. The three in the middle and on the left look unusually good for this time of year. The two on the right? Well, they could use a little more growing time. Steve chooses the bok choy for this week. We are still loving our mosquito shirts. We wear them all the time, and don’t have to use bug spray. The shirts are hot on sunny days but the relief from mosquitos is worth it. I write about pepper grading every year. Returning members can say “yeah, yeah” and skip ahead. New members, please read. So far this year, you have received a mix and #1 and #2 grade peppers from us. 4. They might be partially red (or orange or yellow) and partially green. 5. Others are just too small. The eating quality is fine (or excellent) for all these #2 peppers. We throw away all peppers that we suspect have rot inside (although one may occasionally slip through in either #1 or #2 grade.) Today’s peppers are a mix of #1 and #2 grades. Plum tomatoes – We are nearing the end of our tomato harvests. This week’s tomatoes are still flavorful but will not store as long as usual. Plan to use them quickly. Fresh fennel seeds & flowers (round clusters) – This anise-flavored herb can be used to season tomato sauce and other dishes. Both the yellow flowers and the tender green seeds are quite flavorful. Strip the seeds from their cluster, then crush with the flat of a knife to release their flavor. I think you could add intact seed clusters to your cooking sauce, then remove the cluster when you wish. You will still want to crush the seeds with the flat of a knife. The seeds can be added early in cooking, the flowers are better added at the end. If you shake a flower over your hand, it will release a yellow dust. This is fennel pollen, and it gives the flowers their intense flavor. Garlic – This week’s garlic is from John Hendrickson of Stone Circle Farm. Next week’s box will probably contain cabbage, peppers, carrots, onions, an herb and more. Toss all ingredients together in a large bowl and stir to combine. Enjoy! Now this recipe is similar to last week’s chickpea and tomato flatbreads due to the fact that it also has a lot of components (and obviously a very long list of ingredients), but I promise it really is not so difficult. Just follow along and allow enough time. Take a weekend day or evening and have a bunch of fun with your family in the kitchen making your own kimchi, crispy rice and toppings. And if that doesn’t sound enjoyable, you could also simplify things considerably. †The kimchi can be made ahead of time and stored in your fridge for weeks. The rice doesn’t need to be crispy. It could just be ordinary rice. You technically could leave out the mushrooms (but I wouldn’t!). As for that kimchi. All the ingredients should be regular things you can find in your kitchen with the exception of the gochujang and possibly the rice wine vinegar. You could use white wine or cider vinegar instead of the rice wine vinegar in a pinch, but the gochujung is an essential ingredient. It will be available in the ethnic food aisle of most grocery stores near the Thai or other Asian ingredients. It may also be called Korean red pepper paste. Put rice in a fine-mesh strainer and rinse until water runs clear. Add rice to large sauce pan along with 2-1/2 cups water and 1/2 teaspoon Kosher salt. Bring to a boil over high heat. Once boiling, reduce to low and cover. Cook for 12 minutes then remove from heat but keep the lid on for 15 minutes. Heat 1 tablespoon olive oil in a large saute pan over medium low heat. Add garlic and 1/2 teaspoon Kosher salt and cook for 5 minutes. Add thinly sliced bok choy stems and additional 1/2 teaspoon Kosher salt. Bring heat up to medium. Cook 5 minutes and then add coconut milk. Bring coconut milk to a boil over high heat and then add bok choy leaves. Reduce to a simmer and cook 10 minutes until bok choy leaves are wilted. In a separate large saute pan, melt butter over medium heat. Add mushrooms and cook for 5 minutes just until starting to soften. Add soy sauce, 1/2 cup water and brown sugar. Let simmer gently for 15 minutes until sauce has reduced to a thick syrup. Keep bok choy and mushrooms on low while you crisp up the rice. Get a cast-iron skillet really hot over medium high heat. Add 1 tablespoon oil followed by rice. Press it all down and let it sit in the pan for 5 minutes until it begins to brown. Stir up the rice every 5 minutes or so, adding more oil as needed and pressing it flat after you stir it. It should take about 20 minutes total to get crispy rice. I used about 4 tablespoons of oil to get there. Scoop crispy rice into the bottom of a large bowl. Use a ladle to add bok choy (with sauce), followed by mushrooms with any remaining sauce and a few spoonfuls of kimchi. Add daikon and romano beans to a large bowl. Add salt and sugar and stir to coat evenly. Let sit for an hour at room temperature. (This is a perfect time to start the other components of your meal if making it all at once). Meanwhile, prepare the sauce. Combine rice wine vinegar, gochujang, garlic, ginger, 1/4 teaspoon cayenne pepper, and red pepper flakes. Whisk until smooth. After an hour has passed, rinse daikon and romano beans with cold water. Let drain for 5 minutes then return to bowl and toss with raw onion and additional 1/4 teaspoon cayenne pepper. (This will help you get that beautiful red color associated with kimchi). Add sauce and stir to combine. Use immediately or place into a sealed container (mason jars work great) and leave on the counter for 24 hours. After 24 hours, pace in your†fridge and store up to a month. This makes A LOT of kimchi. About five cups. You will likely only use 1/6 of it during this meal but keep it around, it’s good on EVERYTHING! We live in a cloud of mosquitos, worse than we have ever experienced. The marsh adjacent to our farm is a likely breeding ground, plus all the patches of standing water. I bought mosquito shirts for our entire crew. Averaging $13 per shirt, they are worth the money. It is more difficult (and hotter) working in the shirts but they have saved us. The mosquitos still swarm around us but can only bite where the netting touches bare skin. From left, Michio, James, Sean, Charlotte, Jory and Kelsie show off their farm outfits. This is a telling photo. It was a sunny, breezy day but the mosquitos still swarmed us. From left, Charlotte and Jackie weed beets. For the first time, we are seeing gallinipper mosquitos, known for their enormous size and painful bite. They draw a lot of blood, leaving substantial splats when you catch one. Dr. Susan Paskewitz of UW-Madison identified a live sample for me. She says they are not that common in Wisconsin but they show up in unusually wet years, particularly south of Madison. Fortunately, they do not transmit any human pathogens. We heard from several people that last week’s green beans spoiled quickly. We are sorry to hear about this, and are perplexed about what happened! The beans looked normal when we bagged them for you. Our best guess is that it’s related to the wet weather in the days leading up to harvest. That field is already tilled down so we cannot do any sleuthing. This week’s beans are from a new field so let’s hope there are no more problems. Honestly, the wet weather has been difficult here at the farm. Some sites will get yellow watermelon. Red potatoes – These potatoes were grown for us by John Hall at his farm near East Troy. Slicing tomatoes – The yellow slicing tomatoes are the ripest and should be eaten first. Yellow onions – These are more pungent and better for frying than the Walla Walla onions we sent over the last weeks. Spearmint – This is from our brand-new mint garden, planted this spring. It is a variety called “Kentucky Colonel Mint”. The plants are establishing nicely. We will pack just a large sprig or two. I don’t want to harvest heavily while the plants are young. Some sprigs have flowers or buds because we delayed harvests so the plants could get well established. Our old mint garden gradually faded away as the surrounding trees grew and shaded the area. It’s nice to have a new plot established. Melons – Everone gets either a Yellow Doll watermelon or a small muskmelon called “Sugar Cube.” This is a new variety for us but very tasty. Now this is what we call a weekend recipe. It doesn’t take too long (unless you make the flatbreads from scratch, then things start to drag out a bit), but it does create many dirty dishes. It isn’t necessarily a quick recipe, but it is simple and the end result is a food adventure I think you will enjoy taking. I find the spices and herbs of this dish endlessly interesting. I’ve adapted the original recipe to simplify it a bit, but maintained all the yummy flavors! Flatbread can certainly be store-bought instead of homemade to save one step. Also, if you can’t find sumac, za’atar is a yummy spice blend of sumac and thyme. That will absolutely work. If you can’t find either, paprika will make a fine substitution. Combine garlic, sumac, red pepper flakes, coriander, cumin and 1 teaspoon salt in a small bowl. Arrange tomato slices in a single layer on a baking sheet (or two) and sprinkle evenly with sumac seasoning. Let sit at room temperature for about half an hour. Combine chickpeas and vinegar in a medium bowl. Season with a generous amount of salt and pepper. Mash with a fork until†its consistent in texture. Add onion and oil and stir to combine. Taste and adjust salt and pepper as needed. Prepare yogurt sauce by combining yogurt and mint (and the cucumber if you have one lying around). Season to taste with salt and pepper. Cover and place in the fridge until ready to use. Drizzle olive oil in a large skillet over medium heat. Add flatbreads and cook for about 30 seconds on each side until warmed. Top flatbreads with mashed chickpeas followed by sliced tomatoes and then drizzle with yogurt sauce and a drizzle of olive oil (and hot sauce if desired). Combine baking powder, sugar, flour and salt in a large bowl. Add yogurt and stir to combine. Transfer dough to a lightly floured surface and knead until smooth. Divide into 4 pieces and cover with plastic wrap. Let rest 15 minutes. Roll each piece out into a 8-inch circle. Heat oil in a large pan over medium heat. Working one at a time, cook flatbreads until underside is golden brown and it has begun to puff (about 2 minutes). Flip and cook on the other side for 1 minute. If using immediately, no need to reheat on a skillet (as in step 4). Cheddar broccoli soup is a fall favorite. I know we’re not quite to cool temperatures yet, but I know we are going to get there soon! Our house is already embracing soup season. I love to spruce up plain old cheddar broccoli soup with some potatoes for extra creaminess and peppers for color and interest. The cayenne really doesn’t add a touch of heat to the final product (I promise! ), but will make the flavors pop! This soup is nice and light with just enough richness from the cheese. Feel free to sub in cream or half and half for some of the milk if you like a thicker, creamier soup. Melt butter over low heat. Add onion along with 1/2 teaspoon salt and 1/4 teaspoon pepper and turn up to medium. Cook 5 minutes until fragrant. Add peppers and cook 5 minutes longer. Reduce to low, add garlic and sautÈ 5 minutes more. Add potatoes, broccoli, remaining salt, remaining pepper and cayenne. Bring heat back up to medium and saute for a couple minutes until well combined and lightly coated with butter. Add flour and stir until it coats vegetable mixture. Cook, stirring occasionally for 3-5 minutes until butter begins to turn golden brown. Once it has begun to brown, add 2 cups whole milk and quickly stir. Wait for it to simmer for a moment and then add chicken or vegetable stock. Stir to combine. Bring to a boil, reduce to a simmer and cook for 15 minutes. Add cheese and stir until melted. Puree with an immersion blender or food processor until soup reaches desired consistency. I don’t like mine to be totally chunky or totally smooth, but somewhere in between.